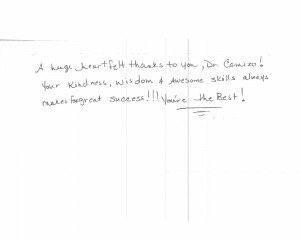 A huge heartfelt thanks to you, Dr. Comizio! Your kindness, wisdom & awesome skills always makes for great success!! You’re the Best!